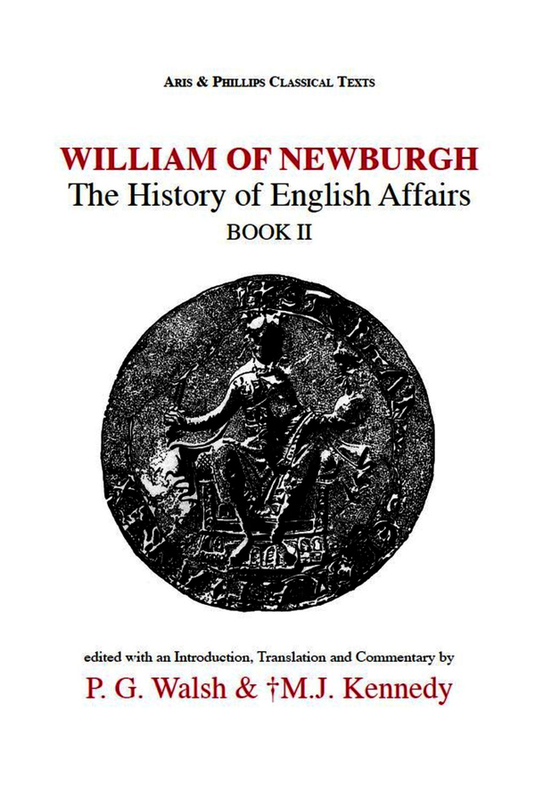 The History of English Affairs , covering the years 1066-1197, was written at the close of the twelfth century and has been described as being "both in substance and in form ... the finest historical work left to us by an Englishman of the twelfth century" ( The Dictionary of National Biography ). The author's critical ability, gifts of acute observation, clear judgment and tolerant impartiality justify his high reputation as an original authority. Book Two covers the years 1154-75, and incorporates the murder of Thomas Becket in Canterbury Cathedral, the capture of the King of Scots at Alnwick, and the first subjugation of Ireland by the English. It also documents the career of Nicholas Breakspear, the only Englishman to become Pope. †P.G. Walsh was Senior Research Fellow and Emeritus Professor of Humanity at the University of Glasgow, and a Latin scholar of international renown. His publications include Livy: His Historical Aims and Methods (1961) and The Roman Novel (1970); editions of Augustine, De bono coniugali and De sancta uirginitate (Oxford); and translations of Paulinus of Nola (Letters, Poems) and of Cassiodorus, Explanation of the Psalms (Ancient Christian Writers). He edited the first sixteen books of Augustine’s De Civitate Dei, as well as Books XXXVI-XL of Livy’s History for the Aris & Phillips Classical Texts series.